Aside from his family photo shoot with (from left) Erin, Beckett and Mclain, Walker was all business in Hawaii. LOST IN WISCONSIN—Pardon the dateline, but I’m not exactly sure where the hell I am. That’s strange because I lived in Wisconsin for 18 years and even graduated from a small-town high school maybe an hour away. But I couldn’t put an I Am Here dot on a map. 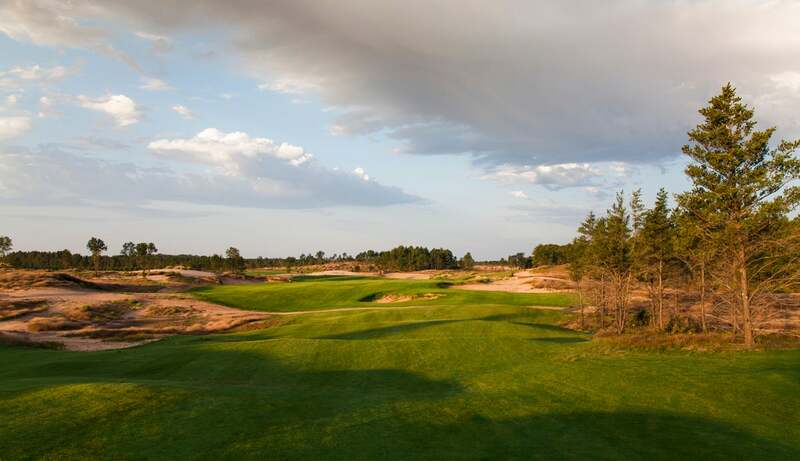 Here is Sand Valley, a fabulous new course and future resort that’s about to open for public play. It is the brainchild of Mike Keiser, the man who put Bandon Dunes on your golf bucket list, and his sons, Michael Jr. and Chris. There’s only one drawback to Sand Valley: getting there. 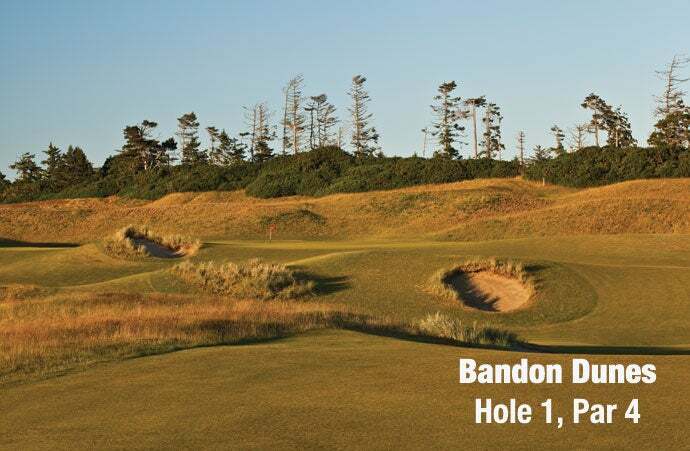 Funny, but Bandon Dunes, on Oregon’s remote coast, initially had the same problem. Now, 81 stunning holes, spectacular ocean views and an upgraded commercial airport have made location a moot point. Bandon is a smashing success. I don’t doubt the same will be true of Sand Valley. There will be two courses here. Maybe three. Or five. Keiser didn’t stop at two in Oregon, so who knows? Craig Haltom, a Chicago construction executive, stumbled upon the plot of land in central Wisconsin with huge, amazing sand dunes while hiking with his wife in 2012. Haltom contacted Keiser, who was skeptical about the prospects. Keiser’s three stated needs for golf properties are a significant sand foundation (check! ); great land contours (check! ); and an ocean (nope, not even a lake!). Still, Keiser sent business associate Josh Lesnik on a reconnaissance mission, all the while expecting him to shoot down the idea. His report to Keiser is now the stuff of legend: “I’m sorry to tell you this, but you are going to love it.” Within a few months, Keiser had bought 1,500 acres, and the Sand Valley saga began. The first course, designed by Bill Coore and Ben Crenshaw, is ready for play, and it’s terrific fun, with green fees ranging from $85-$195 for resort guests and $95-$235 for daily play. Sand Valley kind of resembles Bandon Trails, another Coore-Crenshaw effort that some visitors argue is the best of the tracks at the resort. The second Sand Valley course, by Bandon Dunes architect David McLay Kidd, is under construction and is scheduled to open in 2018. There will be luxury lodging, of course, mostly discreet villas and cottages. Those structures are sprouting. When the project is done, Wisconsin golf will feature a triple-threat that includes Whistling Straits, a frequent PGA Championship host and future Ryder Cup site, and Erin Hills, home to next year’s U.S. Open. That brings us back to Sand Valley. I know I’m close to the middle of the big red mitten that is Wisconsin’s outline—due south of Wisconsin Rapids, west of Stevens Point. Beyond that, I can’t pin it down, maybe because I’m still groggy. I rose to a 3:20 a.m. alarm, flew from Pittsburgh to Chicago, then drove 90 minutes to Milwaukee. There I hitched a ride with local radio host Chuck Garbedian, a long-time buddy, good player and equipment gearhead. We piled into his black Buick and headed west on I-94 until we hit Madison’s outer reaches, then veered north on I-39. From Milwaukee’s west side, it was a 2-1/2 hour ride. Credit the newly nicknamed Garbo, who drove at Warp 5. “It’s really not as far as it is,” Garbo said at one point. I’m writing that down, I warned him, but I knew what he meant. Garbo exited the four-laner somewhere Up North, probably when I dozed off. The next thing I knew, we were meandering along back roads and traveling past jack pines and blue spruces, the occasional rural bar with an original Pabst Blue Ribbon sign, and one sprawling cornfield where more than 100 red-headed sandhill cranes had suspiciously congregated. Sand Valley’s mailing address is Nekoosa, but we never so much as sniffed it. We did finally come across a sign of civilization, a large wooden board that read, “Welcome to Rome, a town for all seasons.” I never saw any of Rome either, but I’d guess this one maybe could have been built in a day. We cruised the backcountry for another 15 minutes before we closed in on Sand Valley. When you pass another course, Lake Arrowhead, you’re almost there. The only Sand Valley sign, a tiny one in red lettering, directed us to take a left onto a patch of freshly paved asphalt. “This wasn’t here three weeks ago,” said Garbo, who had visited Sand Valley several times and still wasn't sure about how to get there. “Amazing.” On his previous trip, he’d taken a route in on a kidney-shaking dirt-and-gravel road. This new, smooth roadway is a sign of just how fast things are moving at Sand Valley. There was no grand entrance, just flurries of construction like a three-ring circus—what will be the clubhouse and lodge. We continued past onto a dirt road, pausing for a bulldozer to back out of the way, and caught a glimpse of the second course, where large swaths of green were bathed by sprinklers gushing water on this sunny, late-summer afternoon. We went down a slope and then up a hill to a makeshift parking lot near a couple of trailers. One serves as the temporary golf shop. We were greeted by caddies—I like this place already!—and walked a short distance to a cabin atop a hill known as the Volcano. It’s a modest pinnacle that overlooks the 1st and 10th tees and the 9th and 18th greens. From there, you can see rolling hills and valleys of ragged-edged sand barrens, whose orange-tan tones frame emerald fairways in wild but regal ways. The view from the Volcano is Sand Valley’s money shot. The mark of a great course is that it makes you feel special. 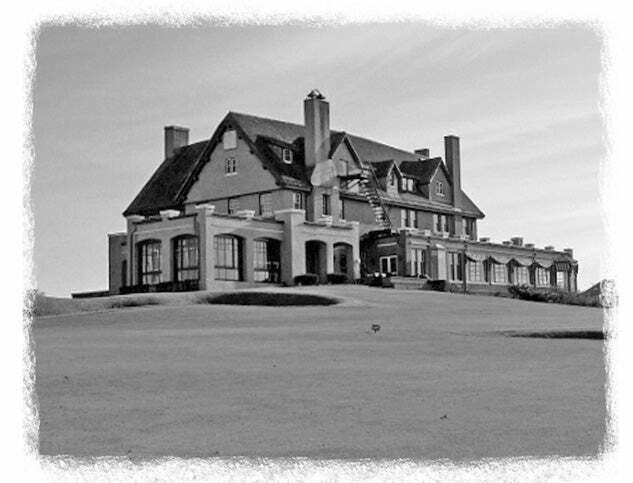 You experience that looking down at Stillwater Cove from the 7th tee at Pebble Beach, gazing out over Lake Michigan from the bluffs at Whistling Straits, across the nearly treeless panorama of Oakmont or the stark beauty and ocean views at Bandon, among others. The Sand Valley view, even without the benefit of an ocean, made me feel the same way. There were holes as far as the eye can see—some already built, some just in my imagination. Thrilling. “I would play here every day if I could,” Garbo said. “I love this place.” I could see why. We shoveled down a quick lunch so we could jump off the 10th tee; two foursomes were on deck at No. 1. The cabin is the only concession area at the moment, and a guy wearing a Brewers cap was grilling burgers, dogs and brats. If the whole world smelled like smoke from grilling burgers and brats, I would not complain. Chuck and I are low-handicappers, but based on the stiffness factor after our not-as-far-as-it-is drive, we opted for the less stressful sand-colored tees, a layout in the 6,300-yard range. We were here to have fun, not make history. I know you’re dying to relive my round shot-by-shot. The fairways are wide, and the greens are big. You’ve got a fighting chance to hit all 14 fairways if you have a good day with the driver. Don’t get me wrong: There’s still plenty of trouble off the tee, and when you’re in trouble here, you’re probably in big trouble—usually sand, of course, in the form of vast waste areas or bunkers or barrens. I got a quick initiation when I failed to keep my layup shot left at the par-5 10th and found a deep sand valley, leaving me an awkward stance with the ball well below my feet for a 90-yard approach. I got it out, somewhat luckily I admit, and ended up on a knob above the left side of the green, short-sided and covered in grass clippings. I saved par after what amounted to a trick shot, but the lesson was learned: Play away from the trouble, dummy. I hit nine fairways, if you’re counting. You can beat that. I could be wrong about this, but if you plod along fairway-to-green and don’t get off track, you shouldn’t face many substantial forced carries. There are no water hazards to hit over, since the only water is a holding lake adjacent to the 9th hole that isn’t in play but apparently is fishable, based on the gent we spotted angling from the shore. Forced carries, like making golfers hit it 120 yards over a lake or simply having to fly a bunker that guards the entire front of the green, are among the reasons for the current decline in participation. A majority of recreational golfers are hackers. They are the game’s foundation, but they have limitations that architects too often ignore. Not here. I hit zero greenside bunkers at Sand Valley, if you’re counting. You can only tie that. The par-4 2nd hole requires a drive down the left side (and play away from the trouble, dummy). Then you zig back right and uphill to a long but narrow green. You could run a grounder onto the green with really good aim. The trick is, the green drops off sharply on both sides and in back—like 15 feet. It’s Donald Ross at Pinehurst on steroids. Garbo missed the green right and faced pulling off a tour-player-quality flop shot with a 60-degree wedge from a tight lie or putting up a steep hill and guessing at distance. He opted for the putter, a wise choice, got it on the green and made bogey. I hit the green and made par, which I almost regretted when I saw the crazy-fun bump-and-run options Garbo had on his third shot. It was right out of a links golf playbook. They’re diverse, challenging but reasonable, interesting and incredibly fun. Come to think of it, I just nailed the course description in one sentence. Damn, I buried the lede. A quick look: The 17th is bearish at 200 yards-plus with a mound large enough to bury Superman’s Fortress of Solitude that guards the right half of a punch-bowl green. The 8th is only 116 yards from the tips, but sharply elevated, making a gaping bunker short of the green must-miss territory. The 14th is mid-length at 190 from the tips with a mound blocking part of the view of a tilted putting surface. The 3rd plays from an elevated tee, the prettiest and most popular shot in golf, varying from 170 yards at the sand tees to 217 in back. Asking which one is my favorite is like asking the parent of a pet to name his or her favorite stupid cat. All of them. Especially No. 3. And 17. And 8. Sand Valley’s 18th hole is a par-5 that climbs back toward the Volcano. It’s an eye-popper because there are multiple menacing sand valleys along the way, including a deep one near the green. Unlike Garbo, I played away from the trouble—the dummy learned! I powered a three-wood second shot over the green, proving the benefits of playing it forward, and got up and down for birdie. Garbo flared his second shot right and had a blind sand shot from South America or thereabouts, from way below the green. He deftly picked it clean—I told you he’s a player—and my caddie and I dispensed simultaneous cries of “Ohhh!” as it narrowly missed the pin before rolling 15 feet past. The putt didn’t drop, but it was a heroic par on a hole that demands heroics or promises disasters. The 18th is a hole you walk away from remembering. Exhibit A that Sand Valley raises the bar on playability was our scores: We each shot even-par 72. That forward-tee thing is genius. There is one concession item you must order. It is Nye’s ice cream sandwich. It's big and thick, a wedge of rich ice cream sandwiched between two chewy cookies. They’re imported from North Carolina, they’re $4 a pop and they border on the obscene. Oh, and they come in a range of flavors. You’re here once, you can’t go plain-Jane vanilla. I teed up a Key Lime. OMG. All 18 holes at Sand Valley will be open for public play on Sept. 1. The course is walking only. There are no carts, but caddies are available. Green fees for resort guests range from $95-$185.